Take part in football training at the prestigious Aston Villa Academy Building. The free fun, fitness and ball skills session takes place from 2-3pm on Sunday 29th July. All abilities, and anyone over 18 who identifies as trans, non-binary, or gender non-conforming, are really welcome. Come along and give it a go! What: Free football session for trans, non-binary and gender non-conforming people of all abilities. This follows on from 2017 Trans City sessions, but you definitely don’t need to have attended those to join in this time. If you’re interested in football, whether you’ve played a lot before or are just curious to give it a go for the first time, come along! This is part of Activate’s Final Fabulous Summer of Sport – check out the other activities and enjoy June and July with us! 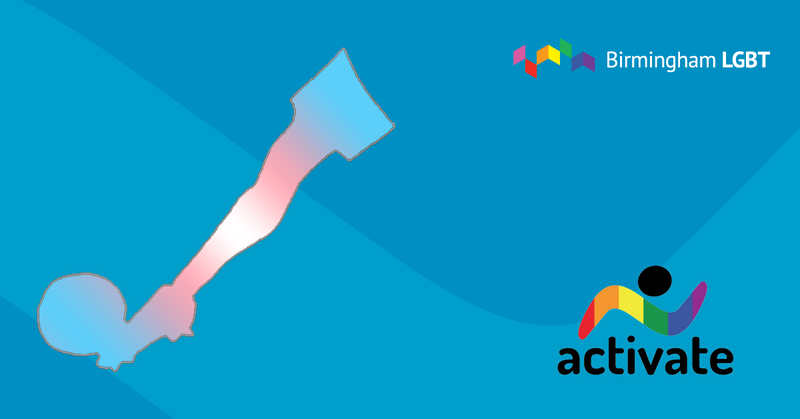 Find out more about Birmingham’s LGBT fitness and sport programme, clubs and groups.